Superior Truck & Trailer, Inc. is a nationally known Tank Trailer Service company specializing in Pneumatic, Petroleum, Chemical, and Vacuum Tank Trailers. Located in Greenwood, LA (1 mile west of Shreveport). “The Tank Guys” are recognized in the industry for knowledge, service, parts, repair, and new/used tank trailer sales. 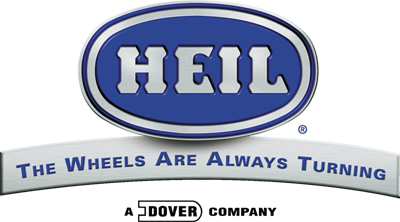 For over 100 years the Heil name has stood for excellence, innovation and customer satisfaction as a manufacturer of refuse bodies, truck equipment and other metal fabricated products. We are thankful for our customers, suppliers and everyone in the tank trailer industry. Remember we are just a phone call away. Superior Truck & Trailer, a Louisiana Corporation, was established in 1975. Superior Truck & Trailer has proven itself as a Regional Tank Trailer repair and parts facility. The company has grown to an 8-bay shop and has over 15,000 sq. ft. of parts warehousing. STT services the ArkLaTex, Mississippi and Oklahoma with over 18+ employees. Superior was purchased by Roy and Judy Meller in May of 2000. Superior Truck & Trailer, we "GET IT RIGHT" the first time!